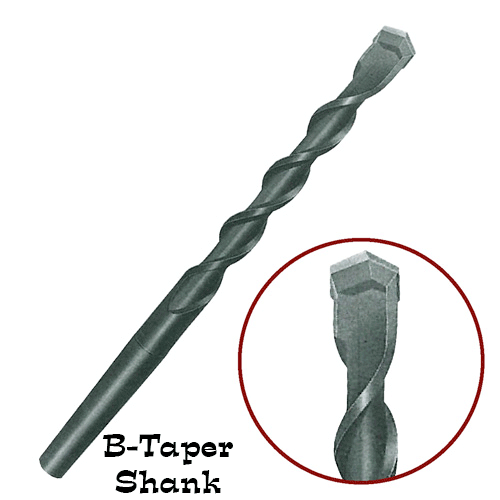 3/4" x 16" B- Taper Carbide Drill Bit Part #0607-0090 B- Taper Carbide Drill Bit Diameter: 3/4" Depth: 16" Overall Length: 19" Notes: These bits are general purpose for masonry, brick, block, and concrete. For use on rotary and hammer drills. Made exclusively from "GN 750 Grade Carbide", they are vacuum brazed with pure copper at 1900* F for a perfect braze.